Well, I started out by trying to gather images of pink and making this a pink post, but I didn't get very far before I ran out of pink....you just can't find a lot of pink in the white world I am living in right now. But I did go out and buy pink tulips (actually I didn't even know what color they were when I made the purchase, their little buds were so tightly closed it took a couple of days before their true color was revealed. 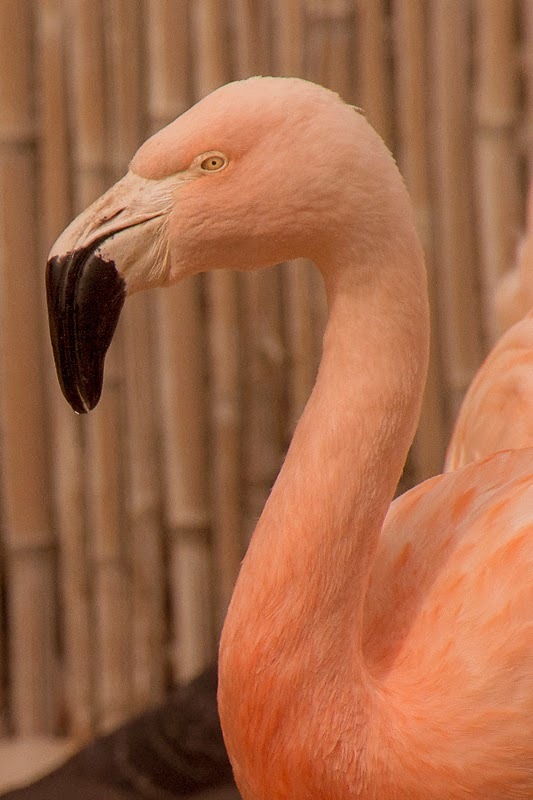 And then I thought of my trip to the Arizona zoo, and the pink flamingos...don't ya just love pink flamingos. 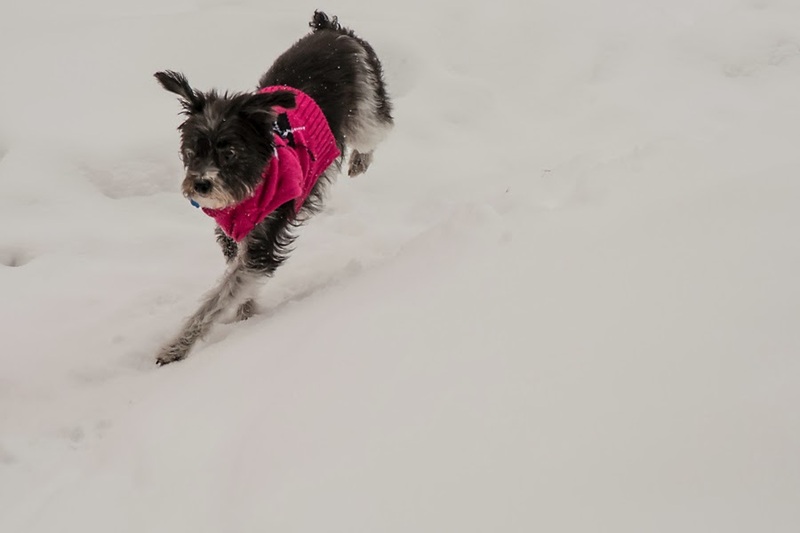 And then ofcourse there is Cinder's new sweater....this is her bounding thru the snow. No, she really isn't playing she is running to get back inside, this is not her favorite weather. And then Toby, who doesn't have a lick of pink on him, standing there wondering why Cinder is in such a hurry to get back inside, because when the temps get to above 20 he is ready to stay and play. Kathy over at You'll Shoot Your Eye Out has a fun meme on Sundays entitled Song-ography - take a song and photograph your interpretation...this week it is Meatloaf's "I Would Do Anything For Love"....personally if I was a big singing star, Meatloaf is probably the last name I would have chosen to be known as, but then I didn't do the choosen. Anyhoo, I thought this might represent that song....you just don't see giraffes sitting down too often, and I am thinkin' one was feeling a little down (maybe a sore throat...snort) so her mate came down to keep her company. So that's it.....my somewhat pink post, mixed in with a little Toby and a little Song-ography. Hope you are having a great Sunday. And btw, I finished The Snow Child....very fairy-tale like, easy read, I liked it, but again, I think next February we should be more astute in our choice of reading and not pick something that takes place in Alaska in the winter-time....just sayin. I liked Snow Child, Deanna. A good modern fairy tale. I also like things/people that don't reveal themselves readily and then turn out to be very special - like you and your tulips. Glad you're in the pink today even if you're surrounded by white. Lots more pink than you thought. And, those giraffes are wonderful. You're right. Not sure I ever saw them doing anything but standing. Nope, never saw a giraffe sitting. Love this pair! I just love your tulips too. Such a pretty shade of pink. 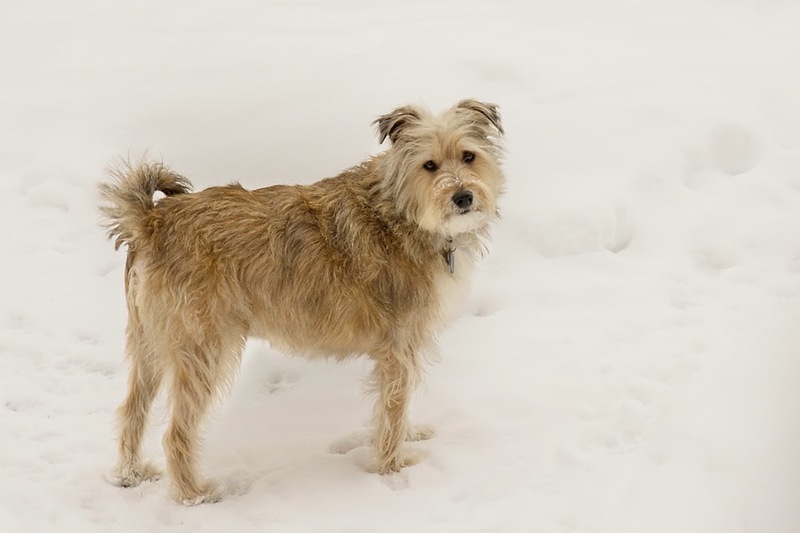 My little Ziggy loves the snow, but gets very upset when he gets the salt (used to melt the ice) on his paws. I am sure it hurts him. I like the pinks you chose and your little dogs are adorable. Cinder looks sweet in that sweater. I honestly do not think I know anyone who takes more exquisite photos of flowers that you do! I'm always in awe. And those giraffes....too cute! Thanks for joining in at Song-ography. Personally, I'm with you on living in this "white world". Show me the color! I could sit and look at those tulips for hours on end and never tire of them. You take the most breath-taking photographs! Poor little Cinder. She needs a sled to go in and out on so she won't get her dainty paws cold and wet. Or some galoshes. Cinder looks so sweet in her pink sweater! I see that Toby was braving the cold without a sweater. :-) Those tulips are so lovely--I'm looking forward to more color myself! Maybe I will read Snow Child when I see green grass around here again . . . Loved your PINK post and the sitting down giraffes. 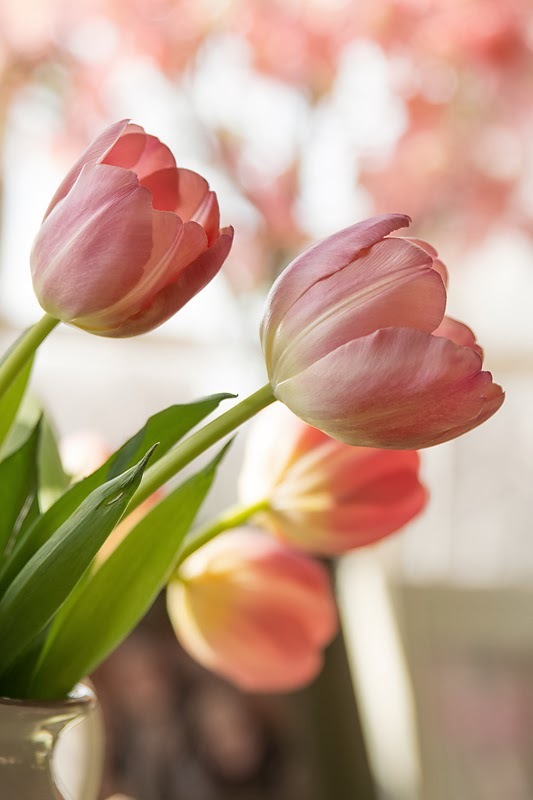 What is your favorite color for tulips? Very enchanting post from the pink tulips all the way through. I have that book. Came as a recommendation from a cute little indie book shop in Marquette. Love giraffes at the zoo. I love buying tulips and being surprised by their color - so pretty! The animals are so majestic too! Cute pups- and I've always wondered how giraffes could possibly rest...doesn't it all get so tiring holding that long neck up! BWAHA! I like pink too! Great color choice to cheer us in the winter. I am reading The Husband's Secret via your suggestion. I am half way through it and hooked. 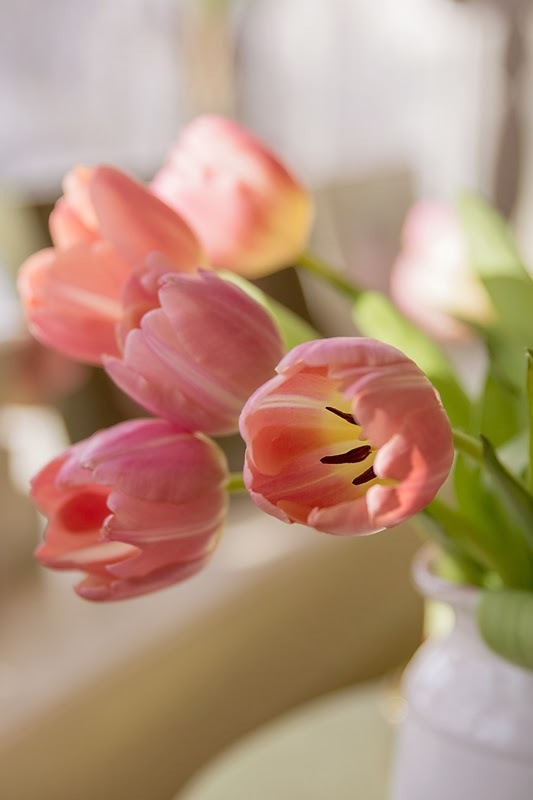 Love the pink tulips, I got some orange ones this week and they are giving me a lot of joy, one has many different colors on it and makes me very happy. Have a good week. Hi Deanna the pink Tulips are really sugary pink. .Love the dog shots and the Giraffes are wonderful. Too bad Toby didn't have his pink tongue sticking out! I do love pink. Am dog(3)/cat(2) sitting this week...will be glad when our snow melts. Love the pink, too - there isn't a lot of it out there in this white world we all seem to be living in recently. Good finds! Purely delightful post. 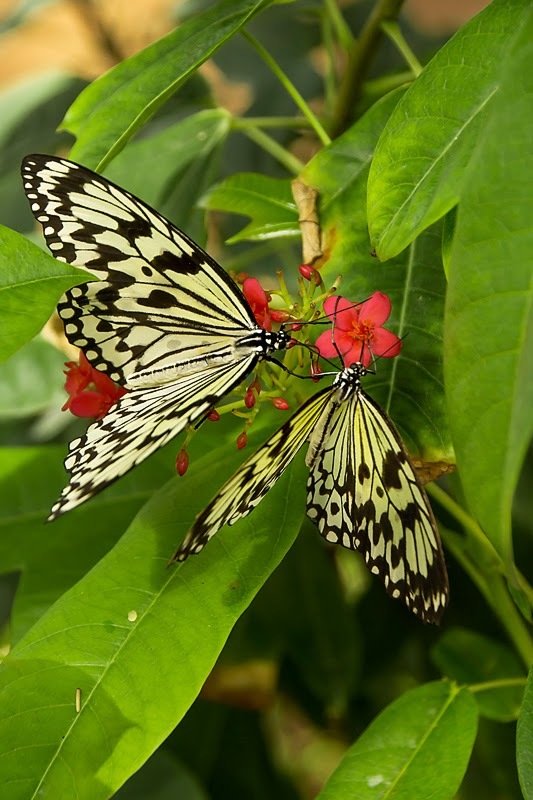 Loving the Pink Flamingo, Toby & Cinder (those two just melt your heart) and of course the stunning butterfly shot. You always make my day with your wonderful photos. 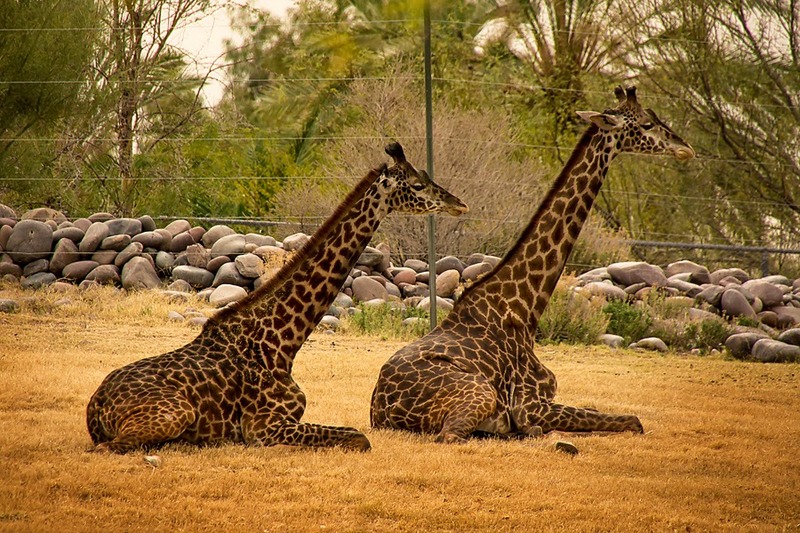 Beautiful post, Deanna, from the pink tulips to the perfectly captured giraffes at rest. The pups are so cute in the snow even if Cinder is hurrying back inside! love your tulips, and bet you really needed those with the awful weather you are having. hOpe that there is not a polar vortex in charleston next month. Getting a little worried that spring is not coming. Hugs to you and cinder looks so cute running in that pink sweater. Loving this pink post....What would we do without our "winter" tulips; yours are beautiful. Your kids are just too cute and the snow makes beautiful backdrops for them. Missing your posts! Hope you are well & just busy? My eyes are so drawn to color this time of year...it is snowing yet again! I am forcing bulbs in my kitchen...even the hint of green is refreshing!